If you are searching for the best office apps for your iPad or iPhone, you should check out this AppsList. Here you can see 19 best office apps for iPad and other iOS. These apps make things really convenient for your office type work. They also provide all the productivity functions on your iPad. 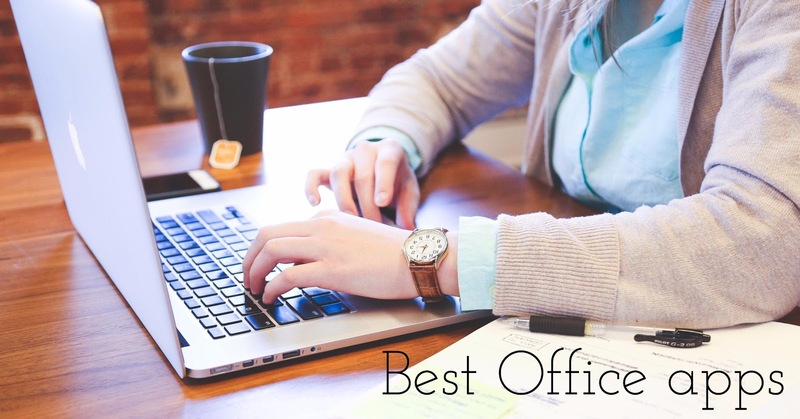 Now, see the list of the best office apps for iPhone and iPad. 1. 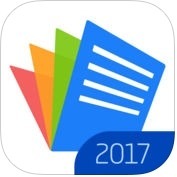 Polaris Office 2017 - Docs editor, PDF reader ( iPhone + iPad ) :- Polaris Office 2017 is one of the best and powerful document editing featured office apps for iPhone and iPad. 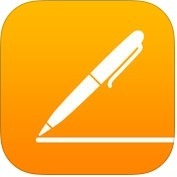 With the help of this office app, you can edit documents in various formats or view on your iPhone and iPad, you can set TXT file background color, you can add and edit header, footerm endnote, footnote or ruler function and, you can also apply and edit 37 slide transition effects or view object animation. Polaris Office 2017 has several useful features such as high compatibility with Microsoft Office document, annotate & convert PDF, simple & elegant design, supports a variety of cloud services, capable of more than 300 data analysis instances and fast document loading, video clips or directly open zip files, and more. 2. 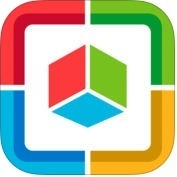 OfficeSuite Pro (Mobile Office) ( iPhone + iPad + Apple Watch ) :- It is one of the best app to work with office documents on your iPhone and iPad. It is also easy to work and user-friendly office app. OfficeSuite Pro has lots of unique features such as full-featured and powerful modules for office files, PDF annotations, comments, and fillable forms as well as QuickSign for digital signatures, advanced spreadsheet functionality, full compatibility with Microsoft formats like DOC, DOCX, XLS, PPT, PPTX and more, track changes with multiple author support, sync with the cloud to iCloud, iCloud Drive, Dropbox and more, advanced security features and, much more. With the help of OfficeSuite app, you can write, edit, fill, share, design, present send and more from anywhere you want at your fingertips. 3. 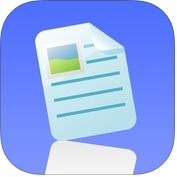 SmartOffice - View & Edit MS Office files & PDFs ( iPhone + iPad ) :- Do you want to work easily and effortlessly? You can use SmartOffice app on your iPhone and iPad. With the help of this office app you can create new documents using blank or pre-designed templates, you can view, edit your presentations on your smartphone, then deliver it as a slide show on your device or via a projector, you can edit or review budgets, expense reports and more while on the go, you can view and annotate PDF documents, you can share or save MS Office documents smoothly and securely, you can open and save documents to the cloud with effortless synchronization with Dropbox, Box, Google Drive, and you can do more. 4. Documents (Mobile Office Suite) ( iPhone + iPad + Apple Watch ) :- It is one of the cheapest and full office & documents management suite for iPhone, iPad and other iOS devices. With the help of this app, you can edit and manage spreadsheet, text and image files on your iPhone, you can transfer files between your iCloud, Dropbox and Google Docs accouts, and you can also transfer files to your Mac or PC using USB and WiFi. Documents app has lots of useful and advance features such as smooth user interface, Google upload & download, works anywhere online or offline, full supports for .txt and .csv files, created files can be opened in Microsoft Excel, Word, Apple Numbers, Notepad and all leading office suites. 5. 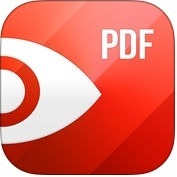 PDF Expert 6: Read, annotate & edit PDF documents ( iPhone + iPad ) :- PDF Expert 6 is one of the best editing, managing and reading PDF apps for iPhone and iPad. It is also user friendly and a very unique office app. With the help of this office app, you can open and view various file formats like iWork, MS Office, and PowerPoint and text files, images, music and video files etc, you can also easily import files from PC, email, documents in Dropbox, Google Drive and OneDrive, you can edit PDF text, images & links, you can add comments to the texts you read, you can mark important informations in books, or documents, you can use digital signatures to sign contracts and agreements on the go, you can copy files from PC or Mac through USB or WiFi, you can sync your files with various Cloud Services and, you can share your files with your friends. 6. 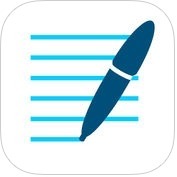 GoodNotes 4 - Notes & PDF ( iPhone + iPad ) :- GoodNotes 4 is one of the best and perfect office apps for iPhone and iPad that lets you take amazing and beautiful handwritten notes and annotate PDF documents. With the help of GoodNotes 4, you can make your handwritten notes last forever, you can type and search what you are looking for and then tap search, you can type with the keyboard, insert images, or draw perfect shapes easily, you can correct any mistake any time, and, you can also add your own template with an image or a PDF file. This office app has several features such as saving time, paper & environment, supports Microsoft Word and Power Point files, large collection of beautiful covers and papers, powerful zoom window feature, protect your valuable data, digital whiteboard and more. 7. PrintCentral ( iPad ) :- With the help PrintCentral app, you can print to all printers through your PC or Mac or direct to WiFi printers without additional software, you can print to AirPrint printers, you can convert files, documents, spreadsheets, web pages and more to PDF. 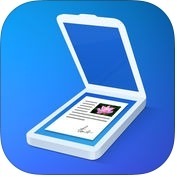 This app has lots of unique features such as print remotely via 3G, 4G or Cloud, unrivalled document reader & file storage, multiple email signatures with images, formatted text, print & save email and attachments for resending, mount your iPad as a hard disk on your Mac or PC, fully integrated with Evernote and, much more. 8. 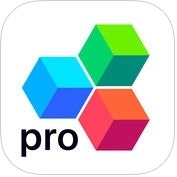 Scanner Pro - PDF document scanner with OCR ( iPhone + iPad + iMessage ) :- Scanner Pro is one of the best and incredible PDF document scanner with OCR apps for iPhone, iPad and other iOS devices. 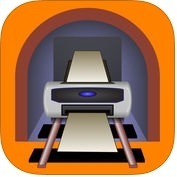 With the help of this scanner pro app, you can scan quickly and save a digital version of paper document, you can share, email, and upload your perfect scans, you can use OCR to convert any scan into a text, you can convert paper notes and sketches into digital copies, you can save interesting articles and book pages for later, you can scan agreements and books into multi-page PDFs or JPEGs, you can create amazing looking documents with original pictures, color stamps and signatures, convert any scan into a text that can be selected and copied, and, you can also use your favourite camera app to scan something and quickly find it afterwards in Scanner Pro. 9. 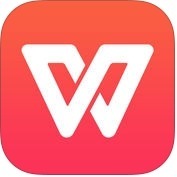 WPS Office ( iPhone + iPad + Apple Watch ) :- WPS Office is popular, effective office apps for iPhone, iPad and Apple Watch. It is also all-in-one office suite app. WPS Office app has lots of useful and user-friendly features such as integrate with Memo, document, spreadsheet & presentation, fully compatibility with MS office, PDF and other documents formats, multiple office tools integrated in one makes your work easier on iPhone or iPad, supports cross-platform file transfer and supports wireless printing and bluetooth keyboards, free PDF converter and PDF reader, connect to Cloud drive and much more. You can also manage easily your WPS storage and clearing the cache. 10. Pages ( iPhone + iPad ) :- With the help of this powerful word processor, you can create amazing reports, resumes, and documents in one finger tap on your iPhone and iPad, you can add easily photos and videos to your documents using the media browser, you can organize your data easily and quickly in tables, you can add bookmarks to easily link from one part of your document to another, you can create footnotes & endnotes and view word counts with paragraph or page counts, you can create and view impressive 2D, 3D and interactive bar, pie charts etc, you can open easily & quickly password-protected documents using Touch ID and, you can also export your document in ePub, MS Word and PDF format. 11. Numbers ( iPhone + iPad ) :- If you want a beautifully-designed, innovative with multi-touch gestures spreadsheet app, you can use Numbers app on your iPhone and iPad. With the help of this office app, you can create powerful spreadsheets using one finger tap, you can insert photos and videos with the Media Browser and, you can also open quickly password-protected spreadsheets using Touch ID on iPhones. 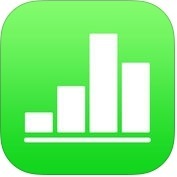 Numbers app has lots of amazing and unique features such as beautiful spreadsheets, add easily stock information to spreadsheets, turn filters on and off in imported spreadsheets, animate data with new interactive column, bar, scatter and bubble charts, access and edit your spreadsheets from a Mac or PC browser and, you can also use AirDrop to send your spreadsheet to anyone nearby. 12. Keynote ( iPhone + iPad + Apple Watch ) :- Keynote is one of the most beautiful presentation apps for iPhone, iPad and Apple Watch, that makes a wonderful world class presentation with animated charts and cinematic transitions at a simple touch and one finger tap. 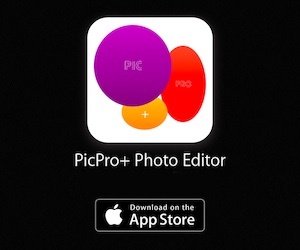 With the help of this office app, you can choose one of the best 30 Apple-designed themes and give your presentations a beautiful start, you can add your images and videos from the photos app using the media browser, you can also open quickly password-protected presentations using Touch ID. 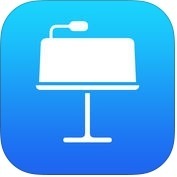 Keynote has lots of advance features such as create stunning presentations, cinema quality animations, present to your audience, share work and, you can also turn on iCloud to access and edit your presentations from your iPhone, iPad, Mac and iPod touch. 13. 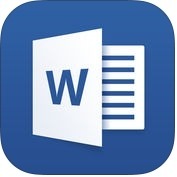 Microsoft Word ( iPhone + iPad ) :- Microsoft Word is very popular and powerful office app for iPhone, iPad and other smart phones. Microsoft Word has lots of unique and user-friendly features such as word documents look beautiful, images, charts footnotes, equations, they are all formatted beautifully, an easy-to-read layout, view email attachments and access word documents from OneDrive, Dropbox, iCloud for business or share point, print word documents to an AirPrint, with or without markup and, you can also track changes, add comments and work simultaneously with others on the same document. 14. Microsoft Excel ( iPhone + iPad ) :- With the help of Microsoft Excel app, you can work confidently and effortlessly on your iPhone, iPad and other smartphones. 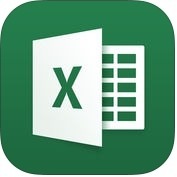 This office app has lots of attractive and advance features such as excel spreadsheets provide like formulas, tables, charts, sparklines, conditional formatting etc, create and edit with confidence and, you can view email attachments and access all your excel spreadsheets from OneDrive, Dropbox, iCloud for sharepoint or business. 15. 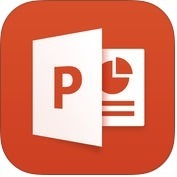 Microsoft PowerPoint ( iPhone + iPad + Apple Watch ) :- Microsoft PowerPoint is familiar office app for iPhone, iPad and Apple Watch. For Office 365 subscription, you need it, for editing and creating your documents so amazing on your tablet, phone, Mac and PC. With the help of Microsoft PowerPoint app, you can express your ideas exactly the way you want, with full support for rich formatting including fonts, pictures, tables, textboxes, transitions, animations, shapes and more. You can also control your slide show with powerpoint remote for Apple Watch. 16. 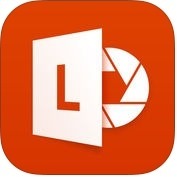 Office Lens ( iPhone + iPad ) :- Do you want to keep a scanner in your pocket? If yes, you can use Office Lens app on your iPhone and iPad, that lets make digital copies of your printed documents, business cards or posters and trim them precisely. With the help of Offie Lens app, you can capture and crop a image of a whiteboard or blackboard and share your meeting notes with co-workers. This office app has several amazing and unique features such as with whiteboard mode, Office Lens trims and cleans up glare & shadows, pictures can be saved to OneNote, OneDrive or other cloud storage, choose to convert images to Word, PowerPoint or PDF files that are automatically saved to OneDrive and much more. 17. 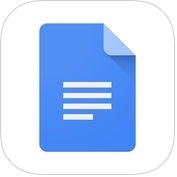 Google Docs ( iPhone + iPad ) :- With the help of Google Docs app, you can create new documents or edit any that were created on the web or on iPhone, iPad and other iOS devices, you can add and respond to comments, you can share documents and work together with others in the same document at the same time, you can directly insert photos from your camera and, you can also open, edit and save word documents. 18. 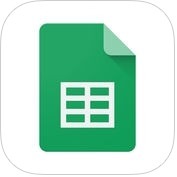 Google Sheets ( iPhone + iPad ) :- If you want to create, edit and collaborate with others on spreadsheets from your iPhone, iPad and other devices, you can use Google Sheets app. With the help of this office app, you can open, edit, and save Excel files, you can protect your spreadsheets with a 4 digit passcode and, you can also share spreadsheets and work together with others in the same spreadsheet at the same time. 19. 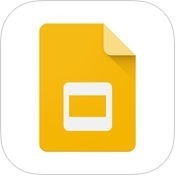 Google Slides ( iPhone + iPad ) :- Google Slides is also one of the best and presentation office apps for iPhone and iPad. With the help of Google Slides app, you can create new presentations/edit any that were created on the web or on iOS devices, you can work effortlessly and confidently, you can share presentations and work together with others in the same presentation at the same time, you can add and rearrange slides, format text and shapes, and more. Don't worry about losing your work because everything is automatically saved as you type.